As per Hindu mythology, the ancient king Dasharatha performed Putrakameshthi Yadnya for having a child. 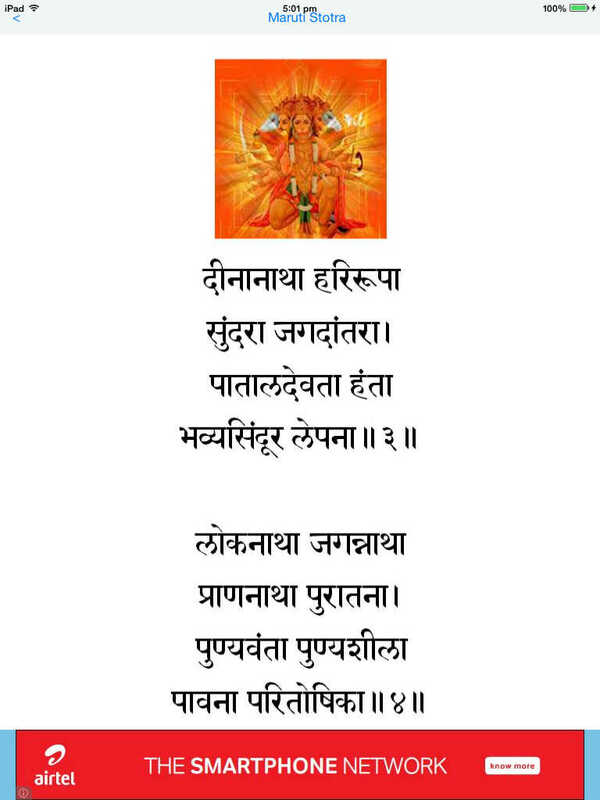 At the successful end of the Yadnya, god Agni-narayan offered Prasad. Wanari (a female monkey) snatched a part of this Prasad from the queen Kaikeyi's hands. The lord Hanuman, also known as Maruti, was born out of this Prasad. 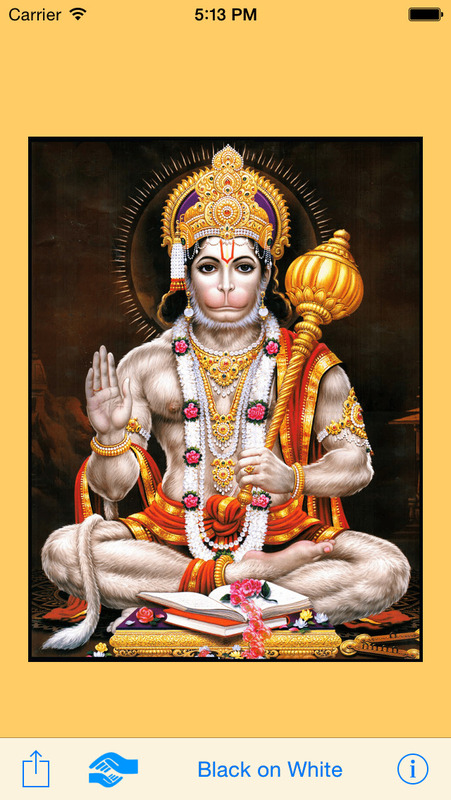 Hanuman is considered to be the eleventh Awataar of Lord Shiva. He later on turned out to be most devoted disciple of the Lord Rama. Lord Hanuman got Vardaan (blessings) from Shani that he will not be affected by Sadesati, as he had helped him escaping from Ravana's jail. According to Hindu mythology, Hanuman is the only person who is not affected by Shani's Sadesati. Maruti Strotra is the perfect recital to keep Shani's affliction away to a great extent. According to Hindu Panchang, 25% people on this earth fall under Shani's Sadesati on any given day. 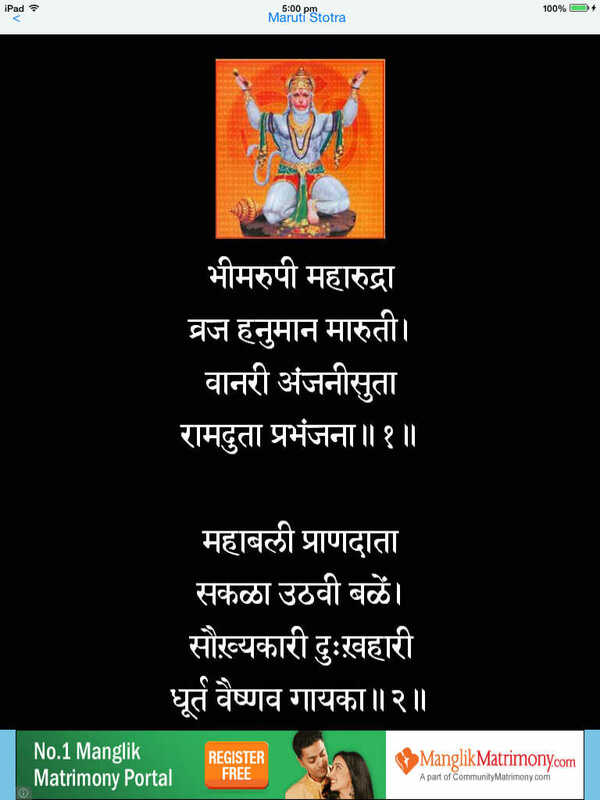 It is recommended in Hindu scriptures that one who is going through the period of Sadesati should chant Maruti Strotra at least 11 times on Tuesdays and Saturdays during Sadesati period to reduce its effects. 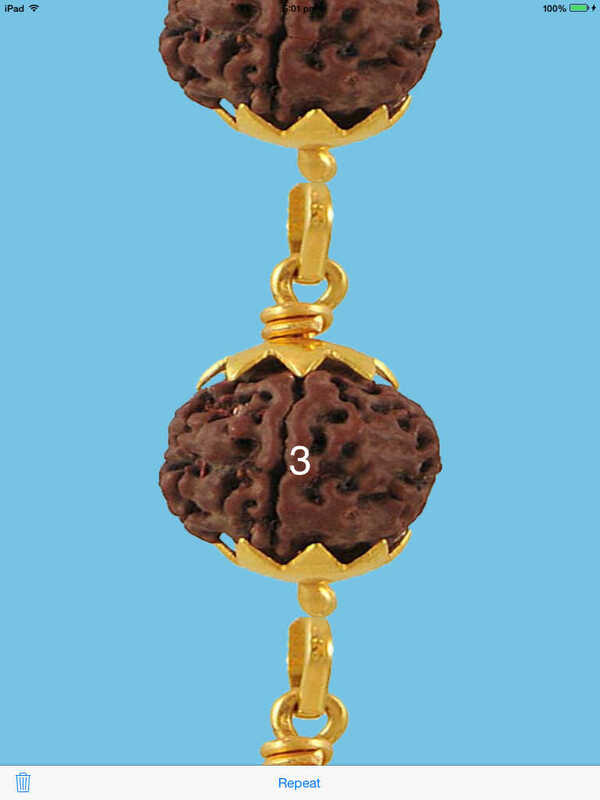 Now, you can track the number of recitals with Japa Mala (Rosary). Also, select the view mode - White on Black or Black on White. You will also be able to remove the ads with a small donation.